I love how the internet has redefined what a trailer is and what a trailer isn't. Post modern times indeed. We interrupt this blog to bring you the trailer of our new film! Granted, it's not the kind of movie we will be doing all the kinds of things we've been talking about here, but it is still truly great. 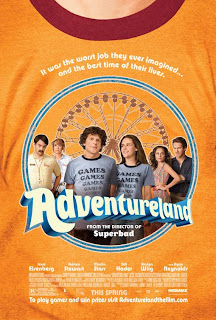 Mark your calendars: ADVENTURELAND opens March 27th. We interrupt this blog to share the trailer for our new film. It will open March 27th. Stay tuned.